EDINBURG — Before Saturday, the last time the UTRGV women’s basketball team lost four straight games was during the 2012-13 season — the year before Larry Tidwell took over as the program’s coach and began his run of unprecedented success. In posting the first three winning seasons in Division I program history, Tidwell and the Vaqueros were typically dominant at home. After knocking off Canisius in the UTRGV Fieldhouse on Dec. 19, UTRGV was 48-13 at home during Tidwell’s tenure. Since then, UTRGV has lost four straight on its home court, most recently falling 65-59 to Grand Canyon on Saturday. The four-game losing streak at home is the program’s first since a stretch that spanned Nov. 25, 2002, to Jan. 9, 2003. The loss drops UTRGV to 10-8 overall and 0-3 to open the WAC season. Since jumping out to the best start in program history at 9-2, UTRGV has lost six of its past seven games. Good offense was hard to come by on Saturday, as Tidwell again pointed to “an inability to make shots” as UTRGV’s biggest downfall. Through the first three quarters, UTRGV shot just 30.2 percent from the field and 17.4 percent from beyond the arc with 14 turnovers. UTRGV connected on 9 of 16 shots and 5 of 7 beyond the arc during the fourth quarter, but the surge was too late to complete a rally. Grand Canyon’s lead was just 22-20 at halftime before the Lopes used a 9-0 run to build a 35-24 advantage with 4:34 to play in the third quarter. UTRGV didn’t pull any closer than six until late in the final quarter. Brie Mobley, Grand Canyon’s leading scorer entering the night with an average of 19.4 points per game, scored 16 of her 18 points in the second half. A losing streak is uncharted territory for the current roster, as the program last lost four straight games between Dec. 22, 2012, and Jan. 12, 2013. 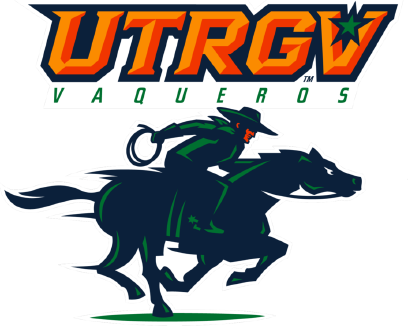 UTRGV is one of only two winless teams through the first two weeks of WAC play, joining Chicago State at 0-3. Next week, UTRGV travels to face 2-1 Utah Valley on Thursday and 2-1 Seattle U on Saturday.